So recently quite a few posts have come up about foursquare, and they got me thinking about being a responsible member of a social network. I love foursquare, I’ve said so. My problem is I’ve been thinking of ways that my association can use Foursquare at our conference and ways in which it will really benefit the member. As we all know in the end, it’s really about value, however small or intangible that value may be. I noticed what Intel was doing at the CES this year with foursquare. People needed to check-in and friend Intel. From the looks of it (by searching foursquare), they set-up specific locations, like the Intel booth, on foursquare. Most have the same address and the title is just a little different for each. My question is: are they thinking long term plan or something more short-sighted? I believe CES is in Vegas each year, but unless Intel plans to do this in coming years (unless of course it’s an epic fail), why are they cluttering up the Foursquare database? 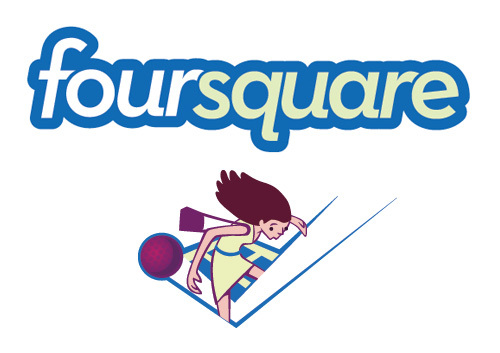 The beauty of foursquare is that it is location based and it’s focused on the people that are around you. It is not event-based (though I am now copyrighting the idea of an event-based version of foursquare and will contact foursquare about it) and that’s where associations and companies are trying to take tools where I honestly think they really shouldn’t go… yet. Foursquare isn’t about a moment in time, but a physical space and exploring the city. I’m all for innovating and thinking up new ways to use new tools, but instead of adding to the functionality of the tool as a whole, it is just adding clutter! And that’s what frustrates me. As a member of a social network or community, you have a responsibility to think about the community and the effect your actions will have on it. Maybe it’s because we’re all so used to Facebook controlling the way that everything looks so we really focus on adding content, but I compare Foursquare’s crowdsourced database of locations to Myspace, where if users do whatever they want… you end up with something like this. I agree, and I think it’s important to note that foursquare is already beginning to crack down on this by allowing “superusers” to help police these types of things by editing the venue database and tagging things for foursquare employees to check (duplicate venues, incorrect addresses, etc.). I would like to take this a step further, and say stop adding “venues” that don’t exist altogether. By this, I mean things such as “Scott’s couch” or “my house”, which, honestly, is not a very smart thing to be doing (maybe this is only going on in Ohio?). Allow me to think like a criminal very briefly. I begin following your foursquare status, note that you’ve checked-in somewhere on the other side of the city and note that you often check-in to “your house”. You’ve done the work for me. I know you’re not home and I know where you live. Just as you shouldn’t program your exact home address into your GPS unit, you shouldn’t be broadcasting to everyone on foursquare exactly where you live. I completely agree about “Scott’s Couch” or “My House”. When I’m at work there is a place called “Liquor store down the street”. It made me laugh when I first saw it, but it isn’t helping the community. What if Google Maps was set-up that way? We would all still be using only Mapquest because it’s not functional. You raise a very good point about the dubious side of social networking. I’ve encouraged members of my association to get involved on Foursquare and their initial reactions were that they didn’t want people knowing where they were all the time. My reply was that it was an opt-in GPS locater, you say when you let people know where you are, just like you do on Twitter. How many times have individuals tweeted their where abouts not really thinking about it?